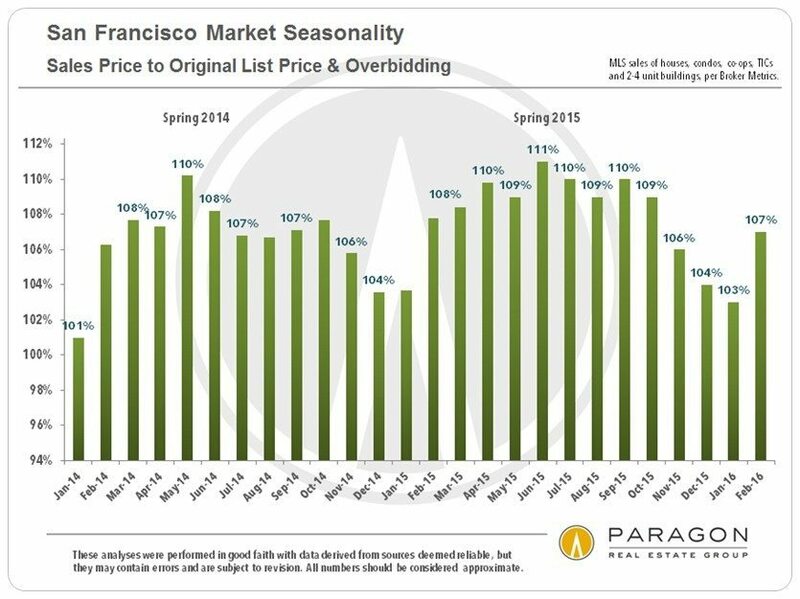 Paragon Real Estate recently released its March report on the San Francisco real estate market. The report found some normal seasonal fluctuations in the market, but there’s still a lot to be unveiled moving into the busy spring season. 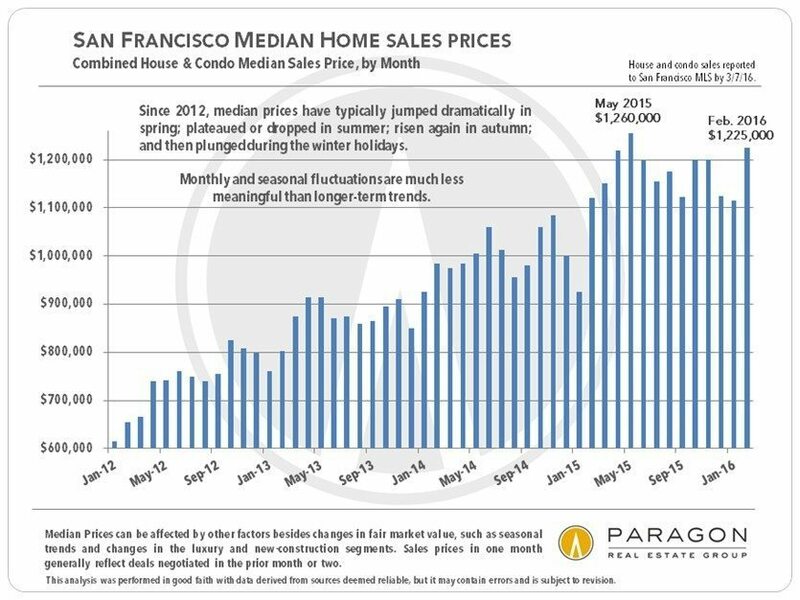 It’s a waiting game to see which direction the San Francisco housing market is going to head toward. The coming months should be a good indicator of whether stock market uncertainty is going to play a big role. 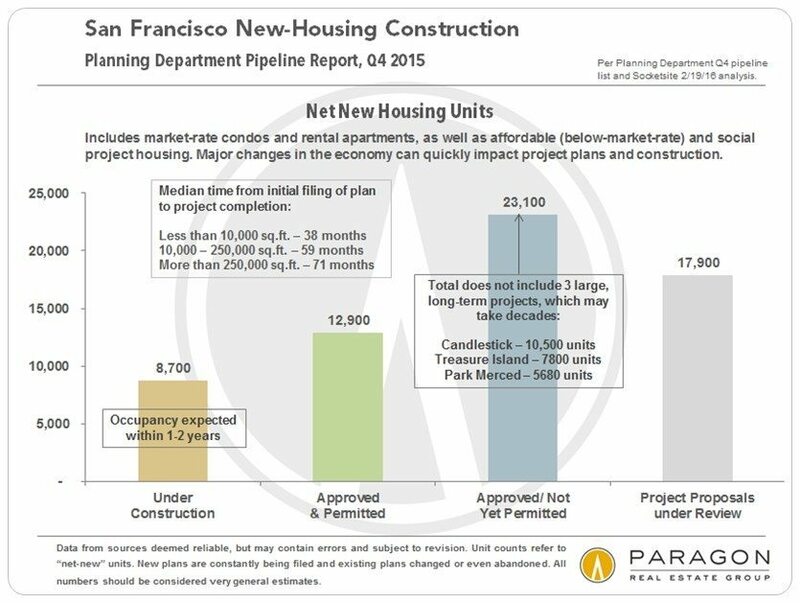 New construction is still rushing forward with more than 60,000 new housing units expected over the next five to six years. This added inventory would typically take away some pressure on rising housing costs, but the playing field is a bit different in the Bay Area. 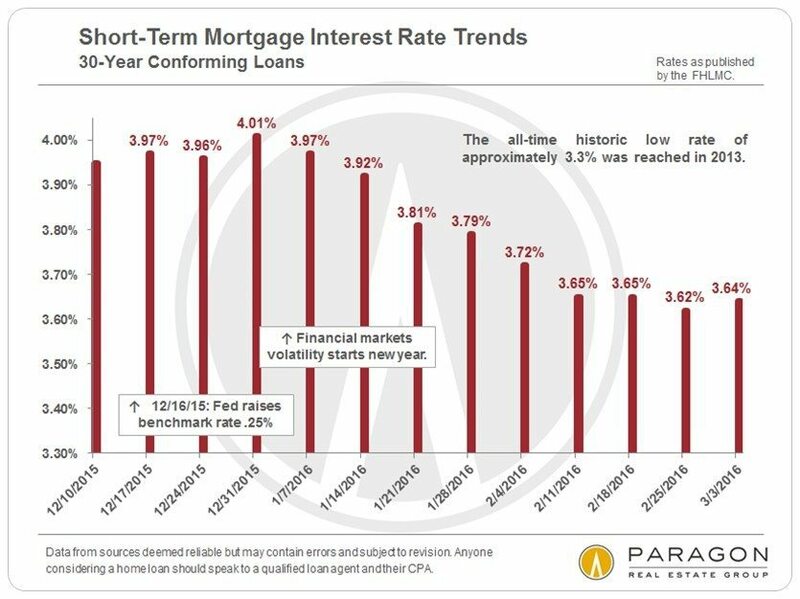 Mortgage interest rates are near historic lows, and they have been declining almost consistently for that past few months.